When my 15-year-old daughter was born, I never considered the fact that she might be among the many diagnosed with autism. At that time, I believe the numbers were 1 in 250 being diagnosed, but I wasn’t too aware of what it all meant until my life was personally immersed in it. I quickly learned that autism is a spectrum disorder, which means the symptoms and characteristics of it can appear in various combinations, ranging from mild to severe. No two children are alike. I also learned the symptoms of autism can improve with various therapies and treatments, which is very good to know. Unfortunately, one thing I wish I hadn’t learned is that raising a child with autism also includes being exposed to merciless comments made about you or your child. The comments are not always intended to be hurtful, but they usually come from a lack of understanding about the disorder. With this in mind, many parents have learned to ignore the comments (even though they do hurt) and/or have made efforts to educate those who will listen. 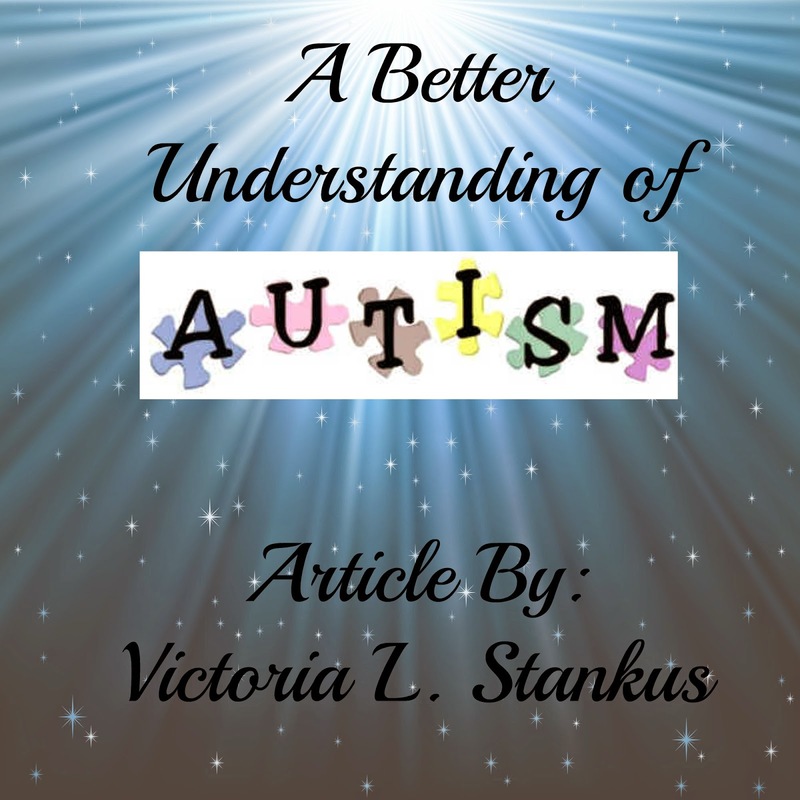 That is my purpose for writing this article – not to whine and complain about unfair treatment, but to increase the awareness and familiarity of autism, and to help give others a better understanding of those affected by it. 3. Lynn says: My daughter was “acting up” one day because we were away from home and in a different environment. She may have been hungry or tired, but just didn’t know how to tell me. I was having a hard time getting her to stay calm when my aunt (who was visiting from out of state) asked, “Would she listen better to her grandpa?” implying that my daughter’s behavior was due to a discipline problem and she needed a firmer hand to make her behave. Autism spectrum disorders are neurodevelopmental in nature, and it is difficult for affected children to understand the environment around them. They have barriers in their brains that make it difficult for them to adapt to their surroundings. This may include (but is not limited to) sensory dysfunction, lack of social skills, lack of communication skills and compulsive tendencies. As a child gets overwhelmed, he may “act out” in various ways to help him cope, such as arm flapping, rocking, screaming, crying, and/or being uncooperative. Many people confuse these behaviors with a lack of discipline, which is not always the case, and should never be automatically assumed. Many children who have been diagnosed with autism or sensory processing disorders have dramatically improved after being put on special diets, such as gluten-free and casein-free (GFCF). Gluten is a protein found in wheat, oats, barley and rye. Casein is the protein found in milk products. Other diets, such as the Feingold Diet, include the removal of preservatives and artificial dyes. The limitations of these special diets are apparently confusing to many misinformed people. Contrary to what some believe, the lack of speech in an autistic child does not mean the child is without intelligence. Children with autism do learn, and many can be successfully taught to function, when they are given appropriate therapies and treatment. Simply put, autism produces barriers in the brain which does not allow information to process correctly. A child with autism may actually understand what you say, but the barriers hinder him from being able to respond appropriately. However, many autistic children can develop functional language and others can develop some type of communication skills, such as sign language or use of pictures. Those who are mildly affected by the disorder may exhibit only slight delays in language, but could have a greater lack in social skills. Therefore, he or she may not be able to initiate or maintain a proper conversation. Communication is often described as “talking at others” instead of with them. For example, they may continue to talk about a favorite subject without pausing, despite the attempts of others to interject comments. 2. Curtis shared how his son (5 years old at the time) would repeat things over and over. While at the store, he would say Hi to the employees, using their name from their nametags, then asked them continually, "What are you doing, (insert name)? Most employees could figure out that he had some type of learning problem, but one responded sternly, "I've answered you once; you should understand that by now." 3. Monica said: One time in the grocery store, my son was flapping his arms. A man walked by and asked, "How long will he do that until he realizes he cannot fly?" According to the Centers for Disease Control and Prevention, 1 in 68 school children in the United Stated, have some form of autism. 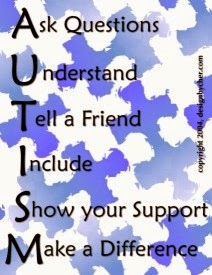 With the way autism has increased in numbers, I believe in the importance of making others aware of it. It is now considered an “epidemic.” Chances are, if a family member does not have autism, you will at least eventually run into someone who does. So, when that happens, please remember there is probably a reason why this child is “acting out” in some odd way. With sensory issues, compulsive tendencies, and lack of communication skills, these children are doing the best they can with whatever situation they are in. The parents, likewise, are doing the best they can to keep their child calm, happy, and secure in his world. Instead of making unnecessary comments, please be kind and courteous. A simple smile or a pat on the arm can be more encouraging than you realize. This is a great article. I think we all need to be more understanding. We are dealing with Sensory Processing Disorder and aren't on the spectrum but have many similar struggles. I have heard many of these comments and then some. My favorite was when someone told me I should tie my child up to show him who was boss when he was not cooperating with me. I am glad I ignored that advice. So many people just can not comprehend that sometimes we have to break it down further and go a little slower for him to understand the instructions given to him. Somehow I don't think tying him up would accomplish that.